RDT Ltd are recognised as leaders in telemedicine for aviation, military, maritime, civil and remote land locations. The company specialises in compact and highly integrated vital signs monitors for non-medically trained, intermittent and professional users. Detailed product requirement specification development. Analysis of problem plus implementation and testing of proposed solution. Power consumption needed to be as low as possible in order to gain maximum endurance from the battery. Formal verification & validation of the product design was required for this medical device. - Embedded processor control to handle a number of diagnostic and multimedia interfaces. - Designing-in co-existence of a number of wireless technologies such as Wi-Fi, Bluetooth, GPS, GSM/GPRS. - Low-power design; a critical aspect of the project. Software - Full WinCE based development including both a test & evaluation application on a Fen defined API. Included WinCE device driver development. Test & Production - Test interface application development to create a tool that could be used for both hardware and software evaluation and lab test, and the basis of a production test application. Fen Technology’s skills and experience were a key factor in selecting them as a development partner. Fen’s ability to de-risk the design process was a significant benefit to us during the product development. Graham Murphy, CEO, RDT Ltd.
RDT needed a partner to support them in the development of their Tempus Pro life-saving remote diagnostics product that transmits a full set of medical parameters with simultaneous real-time voice and video. 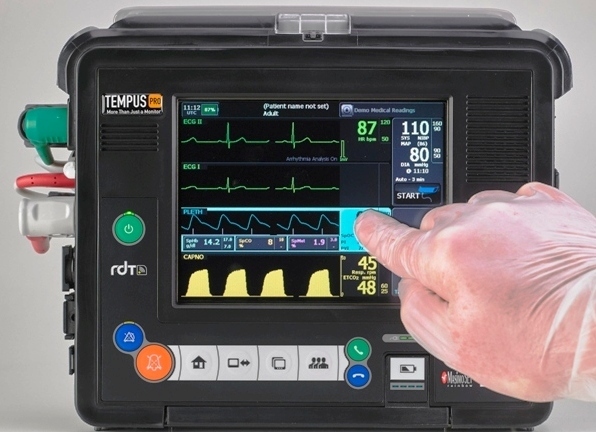 This required creation of an embedded solution that enabled RDT’s application developers to deliver a reliable, responsive, high quality experience that was simple to use, even for non-medically trained customers. The product should be capable of global deployment, with rapid system start-up and extended battery endurance. Special requirements: Robustness, CE mark, FCC, FDA. 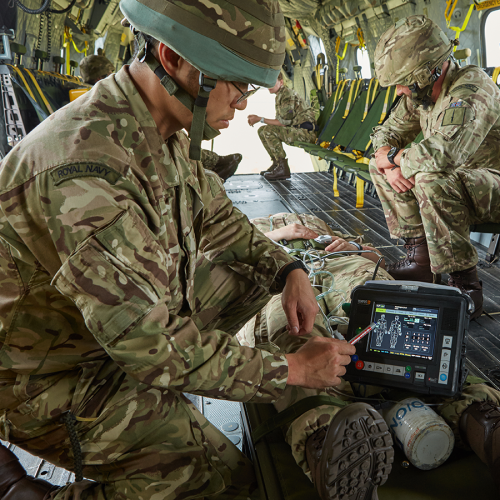 Fen worked with RDT’s engineering team to develop a multi-wireless standard hardware and software solution that allowed RDT to take the unit through a series of stringent medical, aviation and environmental conformance tests. Fen integrated a board support package and developed a fully documented software solution that presented a defined API to the application development team. Power efficiency for this battery operated unit was a key design consideration.